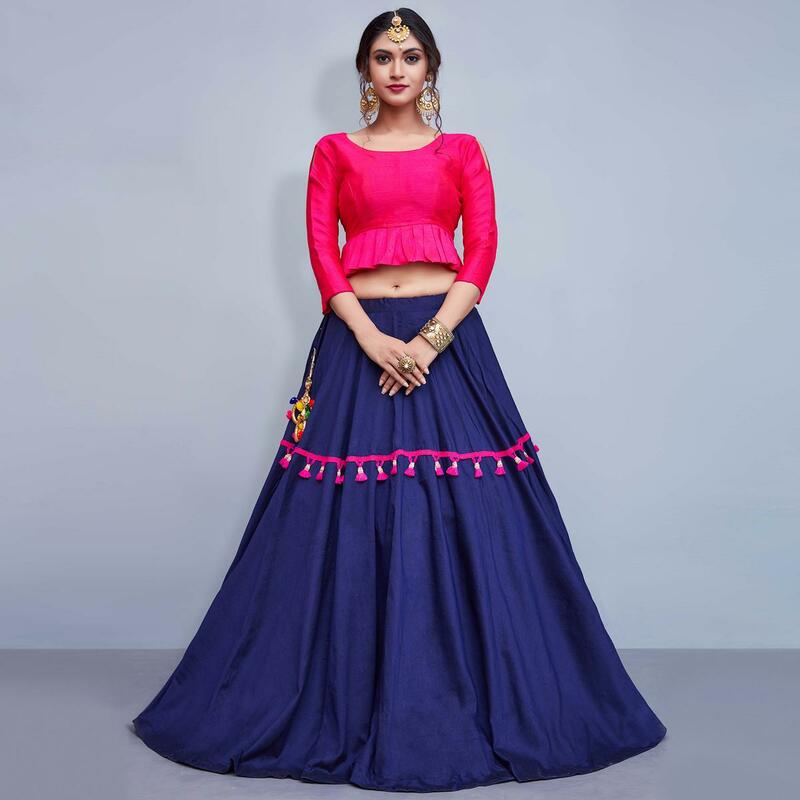 Be an angel and create and establish a smashing impression on anyone by carrying this alluring dark blue colored fancy lehenga. The lehenga is beautified with lace work pattern seems to be chic and great for any get together. Lehenga fabricated on cotton fabric and blouse on art silk fabric. Specially designed to wear in parties, functions, special occasions and event where you want to be center of attraction. Teaming this dress with stylish jewellery and high heels that would be an added attraction. Buy this lehenga choli and earn lots of compliments from onlookers.